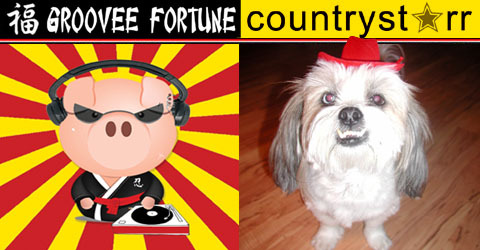 groovee fortune countrystarr is a way for beth been aka the scarlot harlot to show off the creations of groovee fortune, countrystarr and otherwise. expect web design, art, roller derby, photography, news of the weirdest kind, music and more. Your blog is now featured on our site – and I’m wondering if you’d check it out and give me your thoughts on if this is a cool thing or not? If you are like me, you probably read and visit a bunch of sites. My list has grown over the years to the point that I just can’t keep up. So I did something to organize it – then I figured I’d do the same thing on RinkTime to help others get organized based on their interests. So check it out. What I’ve tried to do is to organize the top Derby sites all in one place to help people like us quickly see what the heck is going on. Here’s a couple links – you’ll see your blog on there. Maybe you’ll mention this to your readers – but at minimum, let me know if you think it’s cool. PS. If we’re missing any good ones, please let us know.